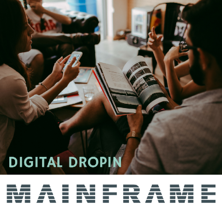 At Mainframe we love putting on big events, with inspirational speakers on topics that we think will really impact digital and creative people in Derby & Derbyshire. However, the reality is we know that's just not everyone cup of tea or the evening slots don't suit everyone (especially if you have family like us) so we wanted to offer our community something in the daytime, something more relaxed. Digital DropIn was born. We can't believe how successful they've been. We've meet a whole new group of digital and creative people doing amazing work in our area. The one hour slot has been creeping up to two and the best news of all is the real work and collaborations that are starting to come from people meeting at the DropIn. On that note we wanted to share these lovely words from Claire Cutts at V21 about our events as an example of the great connections people are making. 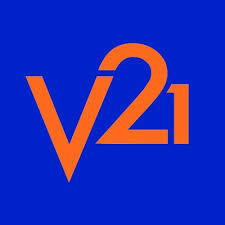 V21 are great supporters of Mainframe. In such a short time they’ve done a brilliant job in bringing together local creative and digital businesses. The monthly events supported by The Big House are really informative, providing practical advice and enlightenment. We were introduced to a film maker at a Digital Drop-In session in February 2018 who has since worked with us to produce a short film, “Just Dolls To Me” for Museumand: The National Caribbean Heritage Museum and the National Trust Museum of Childhood, Sudbury Hall which is on display as part of the ‘Black Dolls: The Power of Representation’ exhibition, funded by the HLF. V21 Artspace have produced a 3D virtual exhibition for those that won’t be able to visit the exhibition in person and the film will be available to view as part of the experience. Our next film collaboration is planned for Deda’s ‘Derby Dancing’ exhibition. @DerbyDancing.